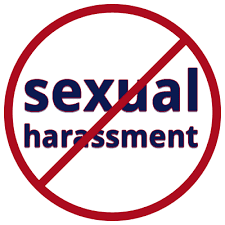 Information on sexual harassment cases should be provided to victims within 48 hours under the Right to Information Act as it pertains to their "life and liberty", the Central Information Commission has held. The RTI Act mandates a public authority to furnish information sought by applicants within 48 hours, and not 30 days, if the matter pertains to their life and liberty. "Information sought by the appellant/complainant of sexual harassment relating to inquiry report etc has to be classified as information related to life and liberty, because both of these rights are threatened by sexual harassment," Information Commissioner Sridhar Acharyulu has held. He was hearing a plea filed by a woman who was allegedly subjected to sexual harassment at her workplace -- the Council of Certificate and Industrial Research -- by a scientist. "If a third person wants to know the detailed information about sexual harassment, this provision could be used to deny it. But it cannot be denied to the complainant," Acharyulu said. The Information Commissioner said it was a "deliberate" misreading of the provision of the law to harass the complainant and deny her the right to information about action taken on her own complaint. "It is impossible to imagine that giving a copy of preliminary report of inquiry will impede further proceedings, investigation or inquiry," he said. Section 8(1)(h) of the RTI Act exempts disclosure of such information which would impede the process of investigation or apprehension or prosecutionof offenders. "The respondent authority did not raise this point and did nothing to explain to the commission about possible reasons as to how the disclosure would be impeding apprehension or prosecution of the accused," he said. The commissioner said that "threat to dignity of women at the workplace" is nothing less than a threat to her life and liberty in view of the seriousness of mental or physical harassment she undergoes. "The public authority should have provided a copy of the inquiry report considering this as concerning life and liberty of the appellant within 10 days as per Section 13 of the Sexual Harassment of Women at Workplace (Prevention, Prohibition and Redressal) Act, 2013, if not in 48 hours, or at least in 30 days as prescribed under section 7(1) of RTI Act," he said. Acharyulu said the complainant was deprived of her right to information which was guaranteed to her under two laws i.e. t ..
"The commission accordingly directs Vinod Kumar, CPIO, to show cause why maximum penalty should not be imposed upon him for obstructing the information to the complainant, before May 20, 2017," he noted.